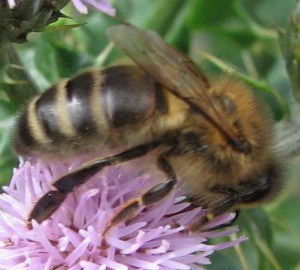 Observation - Honeybee - UK and Ireland. Description: Hello Both of these have been identified as Honeybee Apis mellifera Is there a reason for the difference in phenotype? Wild and hive form for example, or a difference in temperature as young? Is there a reason for the difference in phenotype? Wild and hive form for example, or a difference in temperature as young?